There are albums that require repeated listens to fully digest and comprehend, whether it's because of verbose lyricism or harsh production. But in certain cases, there are those albums that deserve that attentive listening experience because of quality of the content. The latter description rings true when it comes to "Jakobz Ladder Vol. 1 (The Croatoa Koans)," hopefully the first of many joint releases from Midwestern rappers ATMA and Son of Saturn. This record is a dense, heady affair filled with thoughtful, contemplative verses deserving of the type of lyrical breakdowns you see some artists perform at Rap Genius. But even if that doesn't happen, you'll probably be scribbling down notes to yourself as you listen to the 13 tracks on here—16 if you count the bonus cuts. I found myself doing that exact same thing as I played it the first few times, especially after I realized this was serious headphones music. What I mean is that if you want to fully immerse yourself in the album, snag some good cans to do so. I personally just grabbed a pair of SOL headphones at Verizon 'cause they were on sale and I haven't looked back. And once I heard "The Croatoa Koans" through them, everything started falling into place lyrically. It almost felt like a religious experience, floating across the gritty instrumentals with ATMA and SoS leading the way with there spirituality-tinged raps. There are, of course, tracks that aren't as rich with insight that require your utmost attention. Take instant standout "Kamikaze Karma," for example, which is a blistering, horns-laden slab of bravado that would make any battle rapper blush. It doesn't hurt that ATMA and SoS trade bars like they've been doing this together for decades. That remains true even when they throw another voice into the mix. The sole guest outside of the sample-based interludes is U.K. rapper Lone Ninja from NYC, who seamlessly fits into the murky vibe of "Twelve Meridians." Speaking of samples, fans of the horror film this album is named after, 1990's "Jacob's Ladder," will be treated to reminders of its brilliance throughout. One of the bonus tracks, "Jakobz Ladder," actually utilizes these samples the most. It opens with the famous "This is barbaric!" scene and then bursts into an all-out banger from ATMA and SoS, who tag-team the monstrous beat with flawless deliveries. It's a bit of a shame this track wasn't able to fit into the context of the album, though it is admittedly a bit more boisterous than its counterparts. To be fair to the producers involved with this album, you can absolutely throw it on at any point to simply zone out to. 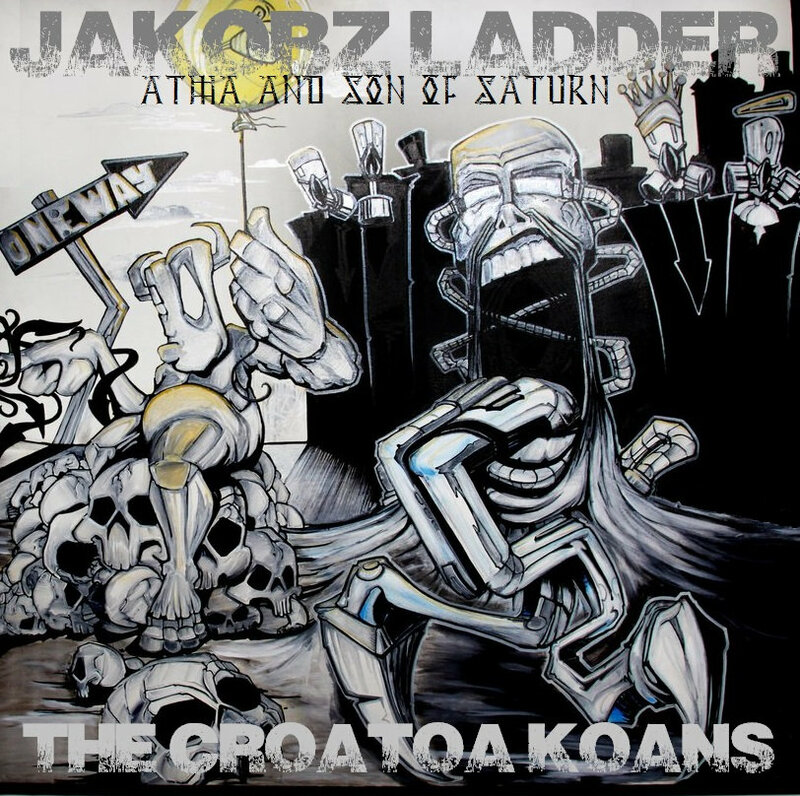 The head-nodding, dusty boom-bap beats across "The Croatoa Koans" are as organic sounding as they are gripping, particularly when you hear how well they fit the rhymes of ATMA and Son of Saturn. It also feels as if the entire recording process was done in a day's time, one track banged out after another until the project was completed. It's rare that an album can flow this naturally, but given the past work of these two rappers it's not surprising. It is, however, refreshing. It's not often that you can hear such an engaging piece of work that demands, and more importantly maintains, your attention at a time when the hip-hop scene is so over-saturated. If you're looking for something new to truly sink your rap teeth into, look no further than "The Croatoa Koans."